Protesting against the Rail Budget presented by Union Railway Minister D V Sadananda Gowda, hundreds of Congress workers led by Delhi Pradesh Congress Committee chief Arvinder Singh on Tuesday staged a demonstration outside his residence. Protestors reached Gowda’s 1, Tyagraj Marg residence around 3 pm and raised slogans against Prime Minister Narendra Modi and the Railway Minister. 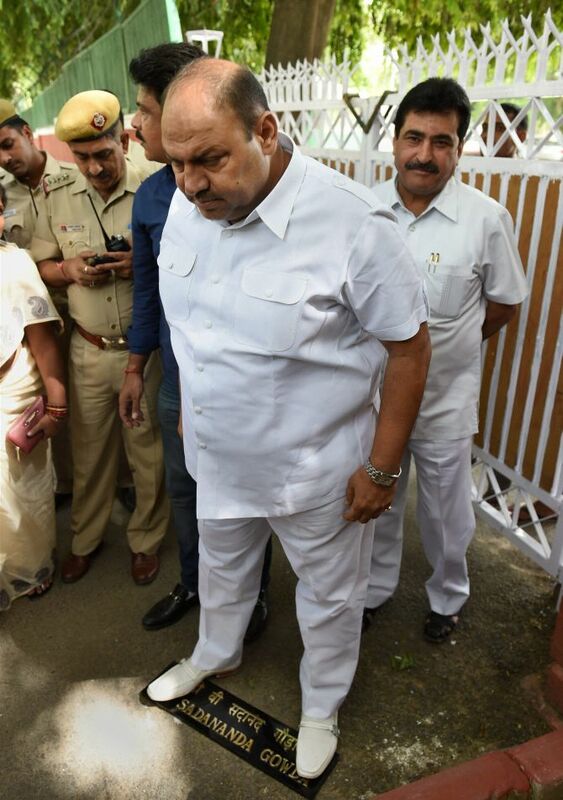 During the protest, DPCC chief spokesperson Mukesh Sharma pulled down Railway Minister Gowda’s name plate placed outside his residence and stood on it to express his anger. The Congress workers, who were staging the protest outside the minister’s residence, got out of control when they saw Gowda in the car as he was returning home after presenting the Rail Budget in the Parliament. Seeing Gowda inside the car, Congressmen immediately surrounded the vehicle and didn’t allow him to enter his residence for a few minutes. 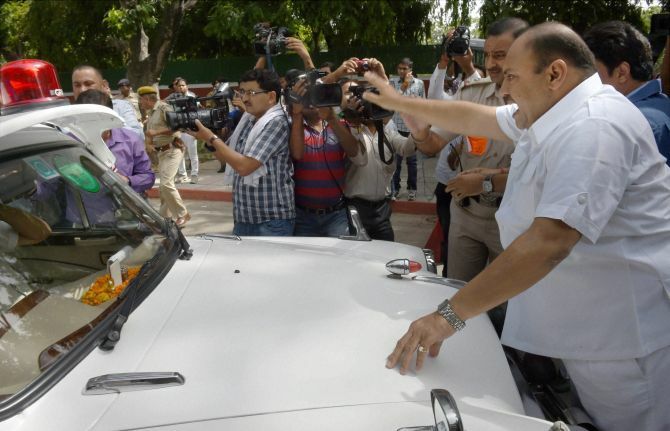 Security personnel, who were present at the spot, pushed them away to allow the minister’s car to enter the premises. Police had to erect barricades around the ministers’s residence to prevent protestors from entering into the premises. On Monday, Congress leaders had tried to gherao Parliament House to protest over the issue of price rise and rail fare hike, but were prevented from doing so due to heavy security in the area. 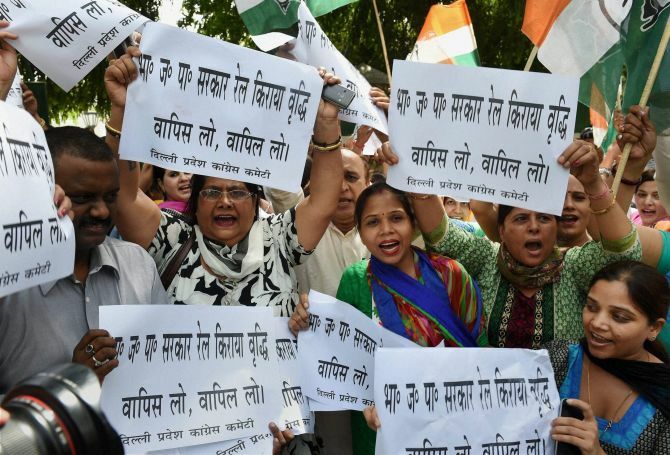 Image: Congress activists display placards during a protest against the Rail Budget outside the residence of Railway Minister DV Sadananda Gowda.